Want to talk with chefs, celebrities, thinkers, and changemakers from Israel and around the world? Want to be able to discuss Israel without devolving into an argument? israel360, an initiative of CJP, provides the space to do just that. With in-person events, a website, an app, and even a podcast, israel360 gives you unprecedented access to all that Israel has to offer. Dan Seligson, one of israel360’s Co-founders, tells us more about it and how you can get involved. In late 2012, we conducted a survey of Boston-area young Jewish adults. Most of them had been on a Birthright Israel trip. They loved Israel, but they were extremely reluctant to talk about Israel or to take part in any Israel-related programming. They told us that it felt like conversations on Israel always turned binary: you would “win” or “lose” an inevitable argument. They wanted to learn more, and they wanted to do so without being judged. israel360 is the space we created for them to be able to deliberate and discuss without “flinging falafel,” as we say. After our Convo-Salons, people wanted more, so we had to change it up. 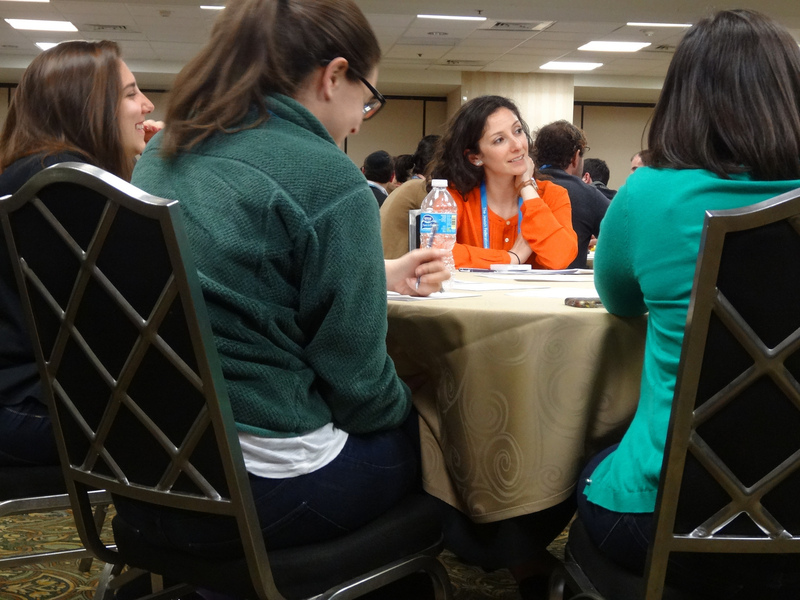 Attendees wanted to use the facilitated discussion format to tackle other subjects, like settlements, the peace process, the future of Jerusalem, Yitzhak Rabin’s legacy, and LGBTQ rights in Israel to name a few. We expanded our programming significantly, and we added “Israel in Depth,” a series that brings expert speakers to a cohort of 30–40 young adults so they can learn — in a very israel360 way — essential knowledge about Israel, from the birth of Zionism to U.S.-Israel relations today. Tell us more about the online offerings — what’s their goal? 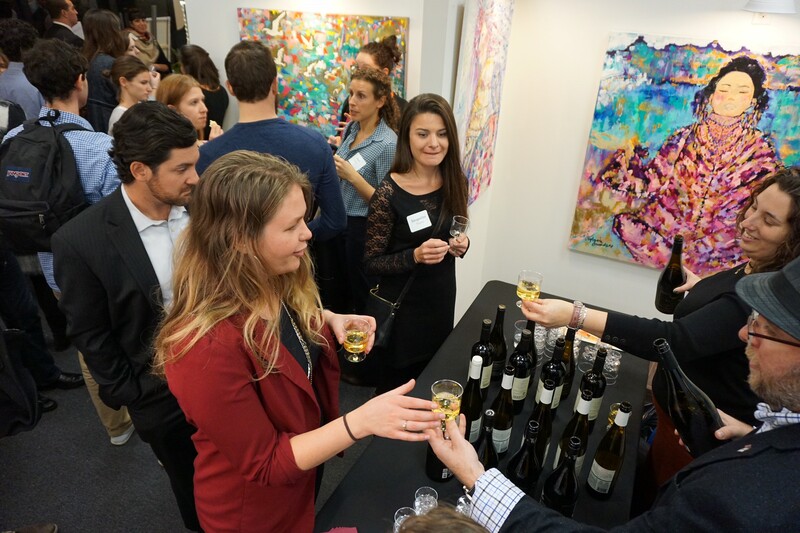 The in-person events have been extremely successful, but our capacity is somewhat limited. We wanted to make the program accessible to many more people, including those who might not be located in the Greater Boston area. We developed a website and began hosting online conversations driven by israel360 users. We also started having Ask Me Anything events where any registered user can pose a question of our guest. They are extremely popular, so we started adding podcasts, interviews, and videos with our guests as well. In the last month, we released a mobile app (for iOS) and expanded our podcasts to the iTunes store and SoundCloud, making it even easier to bring israel360 with you no matter where you are. Who are your guests, both online and in person? We’ve gotten to speak with everyone from a member of the Knesset to tattoo artists. 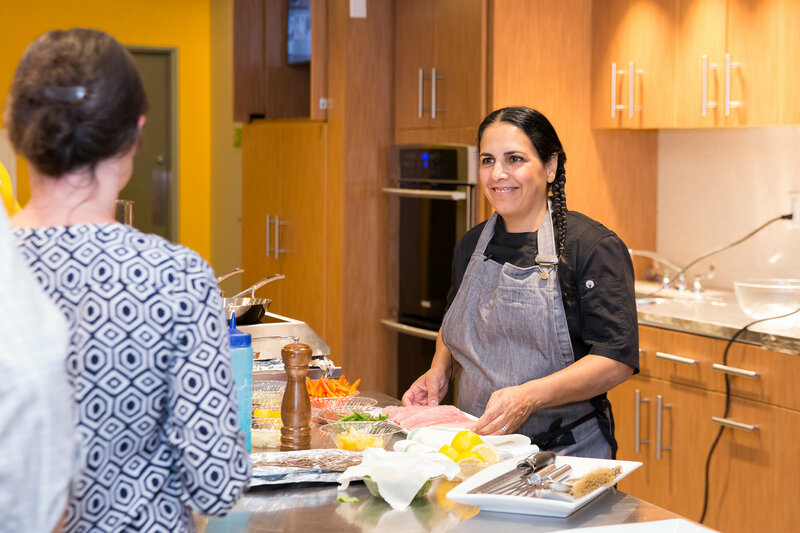 We had an in-person cooking demonstration (and tasting) with Einat Admony, an Israeli chef who won Chopped — twice! — and got to chat with her on our podcast. We’ve hosted an online conversation with a Syrian refugee, artists, IDF Colonel Miri Eisin, and even a former terrorist who is the son of one of Hamas’ founders and who became an informant for Israel who saved Israelis from terror attacks. Because our online conversations and podcasts have been so successful — and with the growing name recognition — it’s getting easier to get noteworthy guests to talk to us. We’re constantly scanning the news and social media to find out who we should talk to next, and I’m always excited to find new voices. In this ever-changing and increasingly diverse political climate, how does israel360 stay neutral? Can you have a voice without taking a side? I’m not sure neutral is the right word. israel360 is a project that supports Israel, that believes in the vital importance of having a Jewish state. We don’t have speakers or programs that would question the existence of the Jewish State. At the same time, we also believe that we need to have a forum to wrestle with Israel, to tackle tough questions and issues, and we provide that forum. There are the very surface-level (but no doubt important) measures — we can count how many people go to online and in-person events. There are also the less tangible measurements: have we helped people learn more about and embrace Israel in its many complexities successfully, or, in other words, have we taken them from being someone who opts out of conversations about Israel to being someone who opts in. Our metrics and event surveys suggest we’re doing both. How do you think the program will evolve over the new few years? Our audience is consuming information in many different ways, and it’s imperative that we keep up. We’ll continue to explore new media like Facebook Live to meet people where they are. Our core mission — introducing or re-introducing young adults to all that is amazing, inspiring, complex, controversial, and newsworthy about Israel — will keep driving us forward, and the technology will help tell us how to get there. How can someone become involved? That part is easy. We’re online – www.israel360.org. Our Ask Me Anything events and podcasts are on the israel360 Mobile App for iOS at the App Store, you can find us on SoundCloud, iTunes, Instagram, Facebook, and Twitter. And we of course have local events. Email us at israel360@cjp.org, and you’ll get all the latest event info. And I encourage people to visit the site daily as we always have something new.